Photo from Nebraska Mentored Hunts. The number of active hunters in the USA has declined in recent years. That’s not good for wildlife management programs, which are supported, in large part, by hunting fees. Perhaps more importantly, the declin in the ranks of hunters weakens the base of support for the Second Amendment. 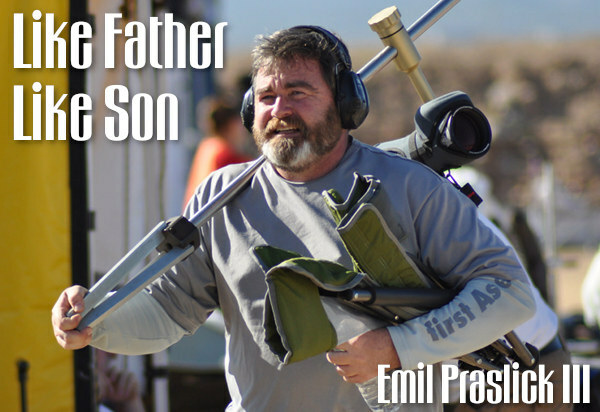 Hunters are key to the future of firearms rights in America. 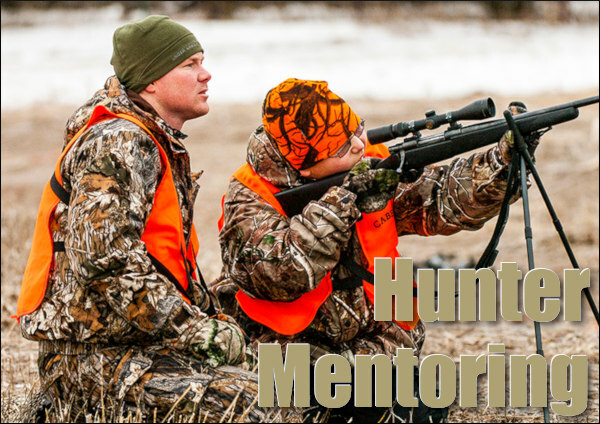 We support efforts to increase the number of hunters, through mentoring and training programs. The NRA’s American Hunter magazine has compiled a comprehensive list of hunting mentor programs, state by state. This is followed by listing of non-governmental organizations (NGOs) that provide hunter training. 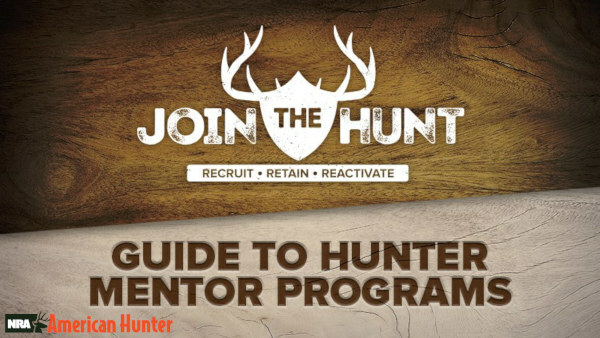 If you know individuals looking to get a start in hunting, check out these resources. 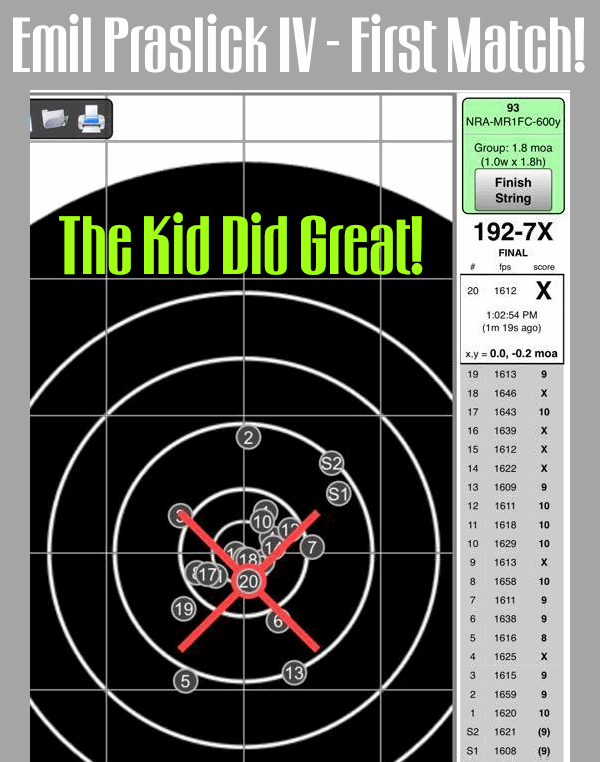 Share the post "Hunter Training and Mentoring Programs — State by State"
The shape of powder grains has a profound effect on the performance of the powder charge, as it concerns both pressure and velocity. There are multiple powder shapes including flake, ball, and extruded or “stick” (both solid and perforated). 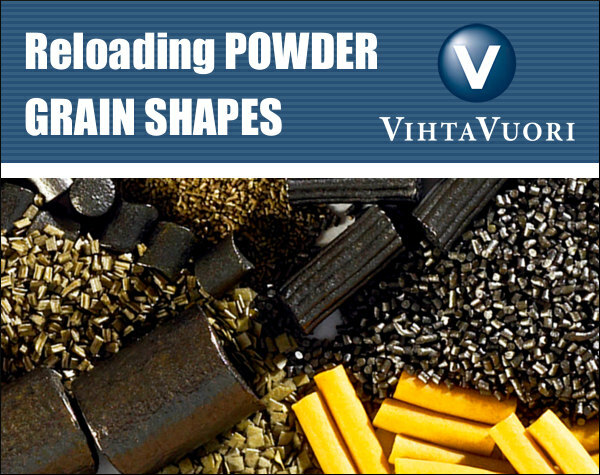 All Vihtavuori reloading powders are of the cylindrical, single-perforated extruded stick type. The differences in burning rate between the powders depend on the size of the grain, the wall thickness of the cylinder, the surface coating and the composition. Cylindrical extruded powders can also have multi-perforated grains. The most common types are the 7- and 19-perforated varieties. 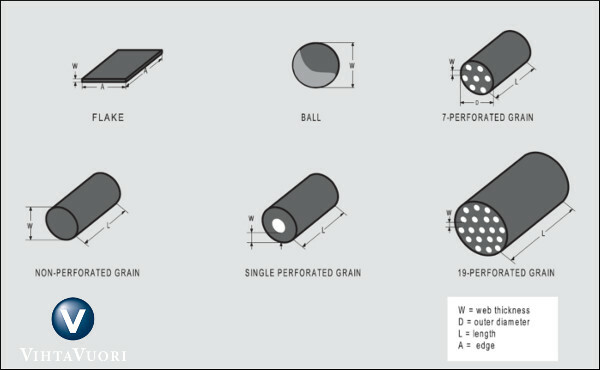 A multi-perforated powder grain is naturally of a much larger size than one with a single perforation, and is typically used for large caliber ammunition. Other types of powder grain shapes include sphere or ball, and flake. The ball grains are typically used in automatic firearms but also in rifles and handguns. The ball grain is less costly to produce, as it is not pressed into shape like cylindrical grains. Flake shaped grains are typically used in shotgun loadings. Web thickness in gunpowder terminology means the minimum distance that the combustion zones can travel within the powder grain without encountering each other. In spherical powders, this distance is the diameter of the “ball”; in flake powder it is the thickness of the flake; and in multi-perforated extruded powders it is the minimum distance (i.e. wall thickness) between the perforations. The burning rate of powder composed of grains without any perforations or surface treatment is related to the surface area of the grain available for burning at any given pressure level. The change in the surface area that is burning during combustion is described by a so-called form function. If the surface area increases, the form function does likewise and its behavior is termed progressive. If the form function decreases, its behavior is said to be degressive. If the flame area remains constant throughout the combustion process, we describe it as “neutral” behavior. The cylindrical, perforated powders are progressive; the burning rate increases as the surface area increases, and the pressure builds up slower, increasing until it reaches its peak and then collapses. Flake and ball grains are degressive; the total powder surface area and pressure are at their peak at ignition, decreasing as the combustion progresses. So how does the shape affect pressure and muzzle velocity? In general, it can be said that powder that burns progressively achieves a desired muzzle velocity at lower maximum pressure than a powder that burns neutrally, not to mention a degressive powder. As grain size increases, the maximum pressure moves towards the muzzle, also increasing muzzle blast. Muzzle velocity and pressure can be adjusted by means of the amount of powder or loading density, i.e. the relationship between the powder mass and the volume available to it. As the loading density increases, maximum pressure grows. This article originally appeared on the Vihtavuori Website. Share the post "Vihtavuori Explains Powder Grain Shapes"